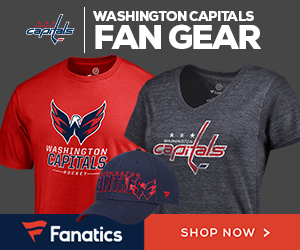 The Washington Capitals made the right decision not to meet Barry Trotz‘s financial demands at the end of last season, as the Caps are proving now, even after Monday’s 4-1 win over the Islanders, that Trotz was not the sole reason the Caps won the Stanley Cup. Trotz led the team to the first ever Stanley Cup, he’s one of the winningest coaches in the NHL, and instilled the type of culture the Caps needed, and Caps fans should be eternally grateful for all of this. The Caps have now won six in a row, something they did not do at all last season, and are once again leading the Metropolitan Division. The Caps are once again firing on all cylinders, despite having Evgeny Kuznetsov and T.J. Oshie out with injuries, not to mention Brooks Orpik, a team leader and penalty killer. Even Tom Wilson’s absence during his suspension didn’t cause the Caps any major early-season damage. This team hasn’t even lost three in a row yet. If the Caps did not promote Todd Reirden, there is a good chance he would be the head-coach somewhere else right now (he was a finalist for the job in Calgary last year). In the end, this was a business decision with eyes on the future. Reirden is only 47, young by NHL coaching standards, and has a bright future ahead. Trotz said that he didn’t have a plan for this season during the playoffs last spring, appearing to tell John Tortorella that he was “gone” after the Caps eliminated the Blue Jackets. Neither Trotz nor the Caps appeared to be indecisive, and it worked out for both. In the end, Trotz’s impact on this team remains, but Reirden is the man for the future. Nobody would blame them to have a little lull with the injuries, or the so-called Stanley Cup hangover, but instead the Cpas are playing like they did in the Stanley Cup Finals. The Caps are where they are because they believe Reirden is the right man for the job. If he wasn’t, he wouldn’t be in Washington.